Squeebles Punctuation is the latest addition to the chart-topping Squeebles educational app series, designed in conjunction with UK teachers. 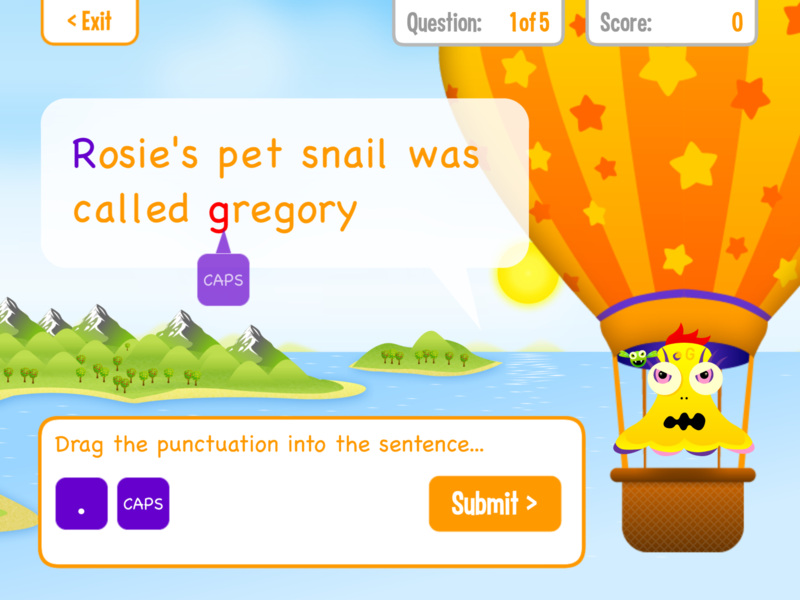 Aimed at children aged 5 to 11, there are a variety of punctuation topics, across several difficulty levels, which allow children to practise their punctuation skills in a fun, interactive environment. 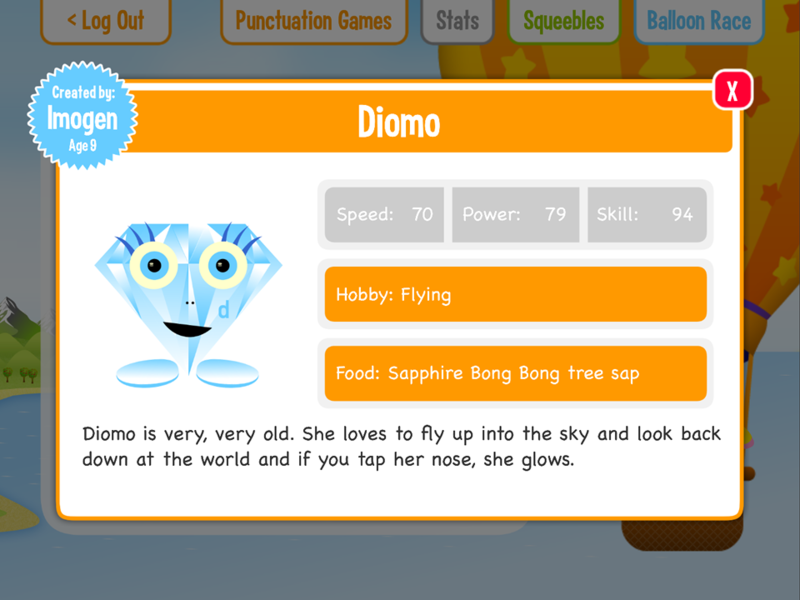 The app contains a rewards system that will keep children motivated and wanting to work hard. Squeebles Punctuation has no in-app purchases, no ads and no internet links. Please note: Squeebles Punctuation is not currently available in the USA or Canada as it is based on UK punctuation. We intend to release a US / Canadian version early in 2018. Squeebles Punctuation is the latest addition to the chart-topping Squeebles series, designed in association with primary school teachers. 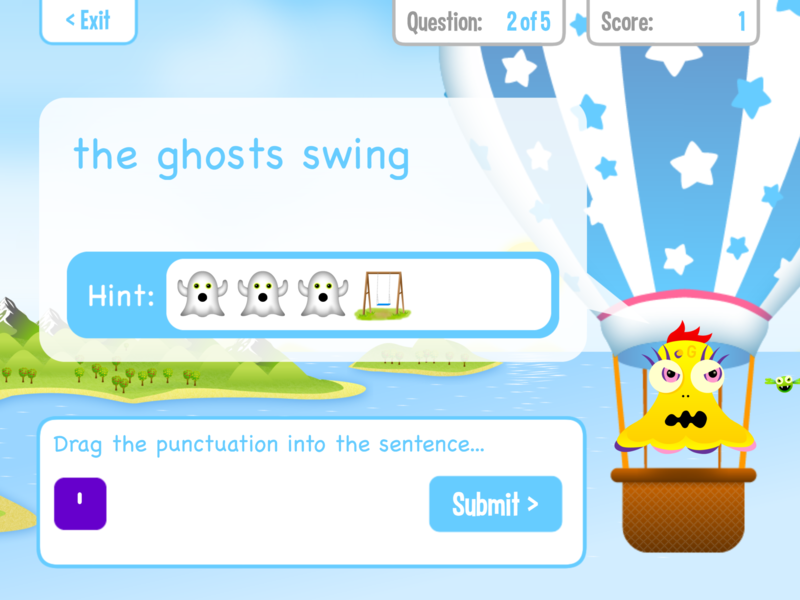 Suitable for ages 5 - 11, the app allows children to practise all aspects of punctuation. Help rescue the Squeebles from the clutches of the nasty Grammar Ghost and Punctuation Pest, the latest dastardly villains to cause havoc on Squeeble Island. 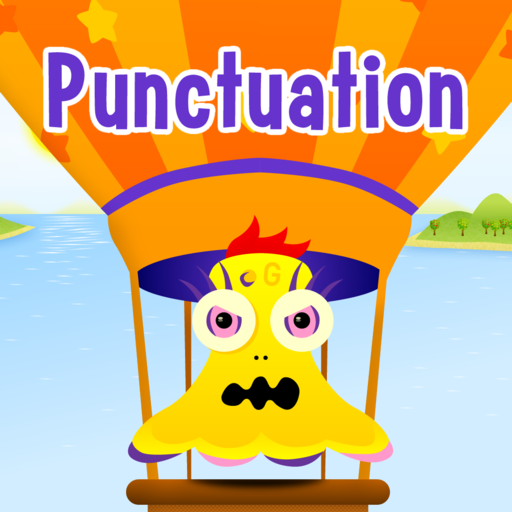 By answering punctuation questions across four different game modes, children will have fun earning rewards and rescuing 24 Squeeble characters. It's or Its - muddling up the possessive "its" and the contraction "it's" is easily done and leads to frequent confusion. 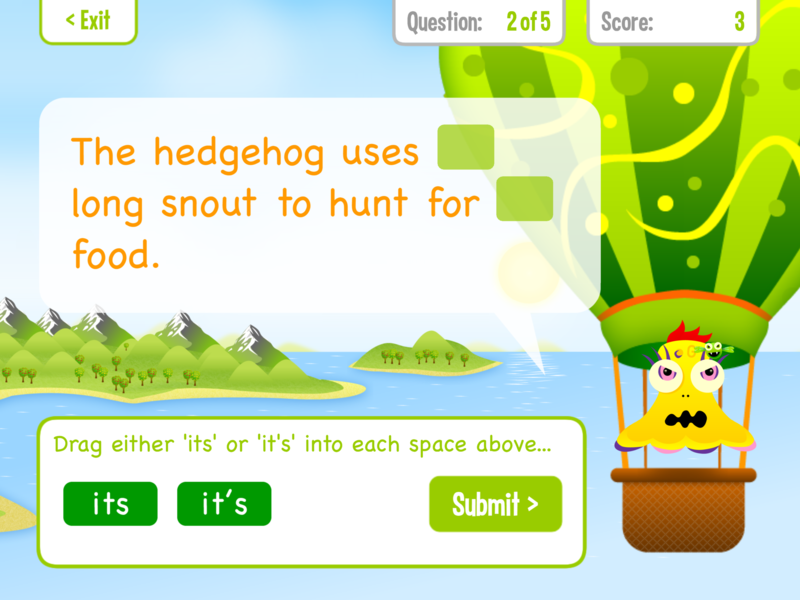 This game mode allows children to assess context within a sentence and fill in any blanks with the appropriate its/it’s. Possessive Apostrophes - drag apostrophes into the correct places, being mindful of whether the subject matter is singular or plural (i.e. the boy’s apples or the boys’ apples). Beginners are given pictorial clues, while those using advanced levels are shown text-based pointers. 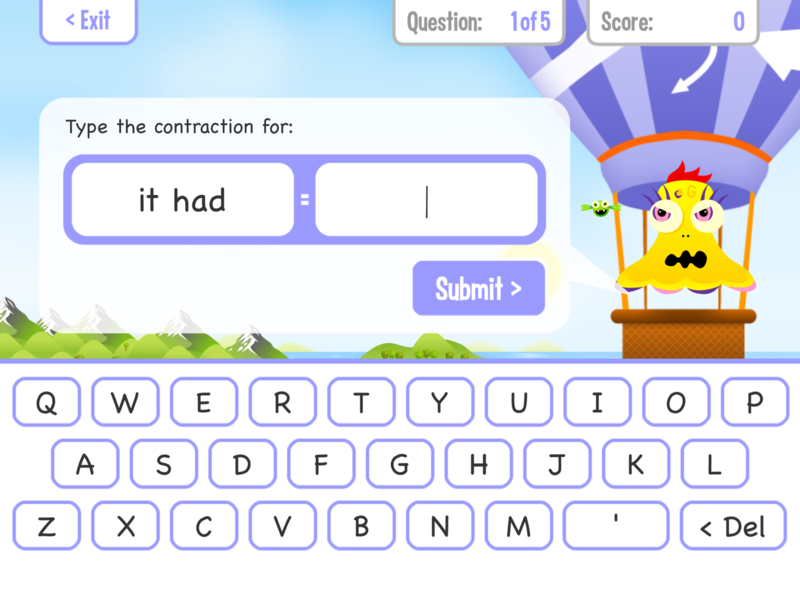 Contraction Capers - give the correct contraction for the given phrase (i.e. you have = you’ve). Features all common contractions in UK English. Most game modes offer various difficulty levels and the app is set up to allow younger children to start with the very basics of punctuation, such as full stops and capital letters, before moving on to more complex ideas and concepts. Frequent rewards are given for answering questions correctly, which incentivises children to continue practising. 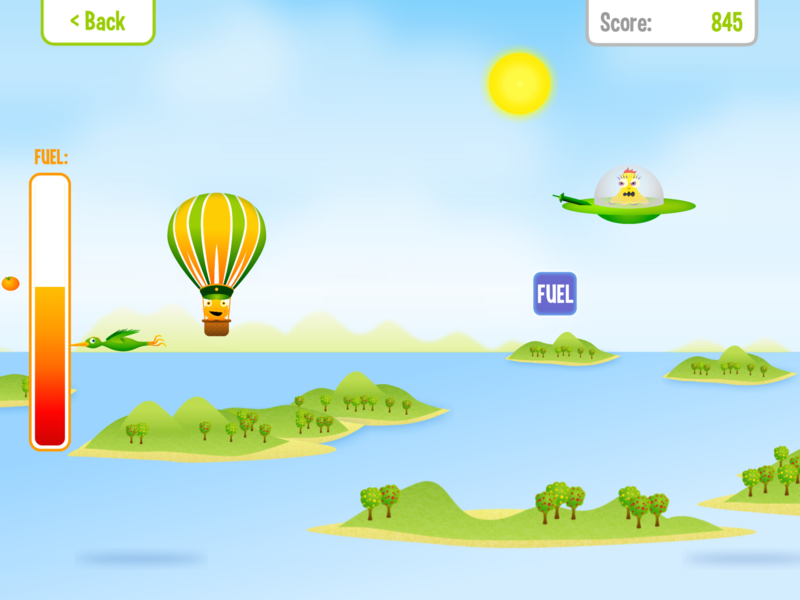 Rewards include: earning turns on a fun mini-game, where children race a hot air balloon across the ocean; winning 24 new Squeebles characters (including those designed by our latest competition winners); earning stars, which can be traded for balloons to use in the balloon racing game. A password-protected Parent/Teacher Zone includes a stats section, which allows you to see progress by all children using the app. This includes 28 days of detailed stats, showing scores, any questions that have been answered and any incorrect answers, so that you can identify if the same types of mistakes are consistently being made. Unlimited children can be registered with the app and, as with all our apps, there are no in-app purchases, no advertising and no internet links of any kind. Please note that Squeebles Punctuation is not currently available in the USA or Canada as it is based on UK punctuation. We intend to release a US / Canadian version early in 2018.